Real snow for your event! For something completely unique let us bring snow to you. For a launch, private function, a festival or simply to guarantee the family a white Christmas. All we need is suitable access and a winter wonderland can be created. We can create snow beaches at your place of work, sledging runs in schools or a winter wonderland at your home – all year round! We can also build features for professional riders to demonstrate their skills in city centres. We can take snow to you wherever you want it! Snow can be provided even in warm temperatures – we have the expertise and knowledge to ensure it is maintained effectively. Our team will be happy to shape and build to your requirements, or alternatively simply organise transport and collect freshly made snow direct from our sites. 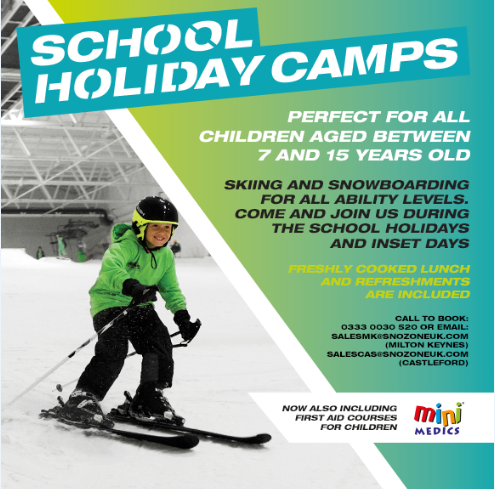 For more information please email sales.mk@snozoneuk.com (Milton Keynes) or mailto:sales.cas@snozoneuk.com (Castleford) with your name, telephone number and details of your enquiry. We will contact you within 48 hours.